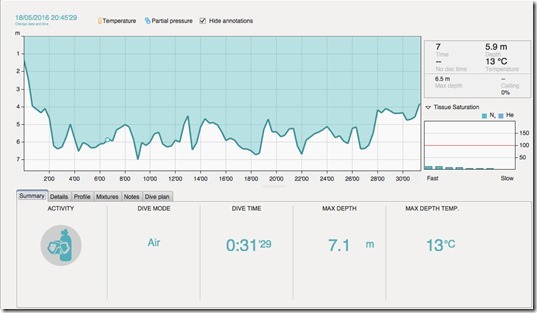 Last week I undertook the first of my dives to obtain the PADI Night Dive Specialty. In doing this specialty I’m trying to broaden my diving skills and also get more familiar with the equipment utilised. The dive site utilised was Leybourne Lakes run by the Watersports Centre situated within the Leybourne Lakes Country Park. Their site states there are two diving areas in the 30 acres of water. 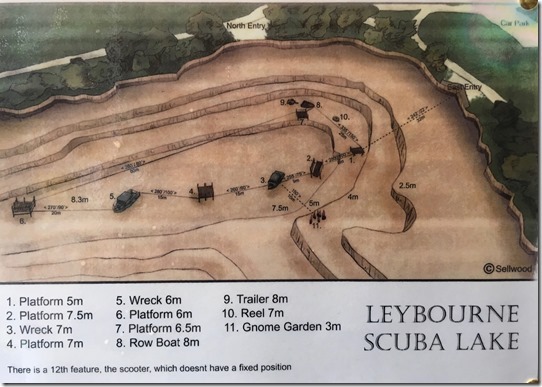 The smaller area has 2 hard surface entry/exit points, 4 underwater platforms, 3 boat wrecks, gnome garden, life size statues, varieties of marine life pike, carp, tench, perch, eels, mitten crabs and terrapins. The depth is 9.5m. The map below shows the key features that would be of interest to divers (© Sellwood, published with permission). Being the first of the qualifying dives for the night specialty we did some basic skills primarily centred around the usage of our torches. I found the dive to be really enjoyable and it was the first time I had used my new Hammond HDS Pro-Elite Dry Suite which I’m pleased to say kept me quite dry and warm. I also got to use a new Oceanic Deluxe weight belt I had recently purchased and found this to be very comfortable and effective. 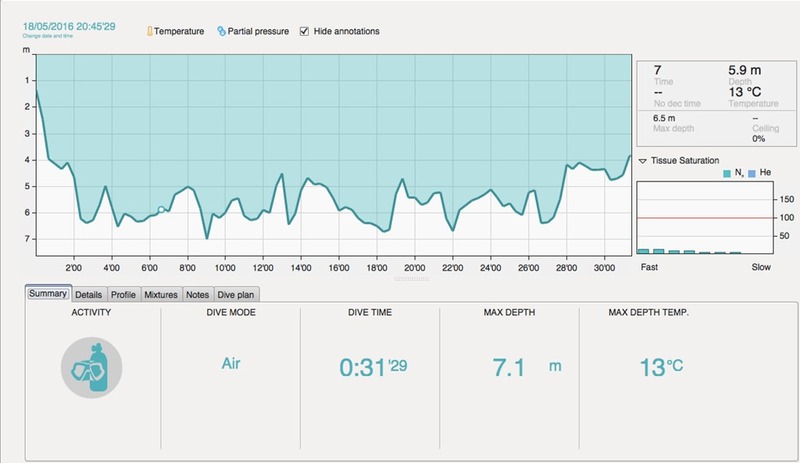 Below is a screen shot of the dive profile taken on my Suunto D4i Dive Computer, it was a 31 minute dive which reached a maximum depth of 7m and was at a reasonable temperature of 13C.